Screening with audio in English without subtitles. The unbelievable friendship that began between a teenage viking and the dreaded Night Fury dragon turned into an epic trilogy that conquered the lives of both. In this episode, Hiccup and Toothless will finally discover their real destinies: the ruler of the village as Burke's ruler, along with Astrid and the dragon as the leader of his species. By fighting daily challenges, they face the darkest threat they have encountered so far. She, as well as the appearance of the female Night Furry, will test the connection between them as never before. 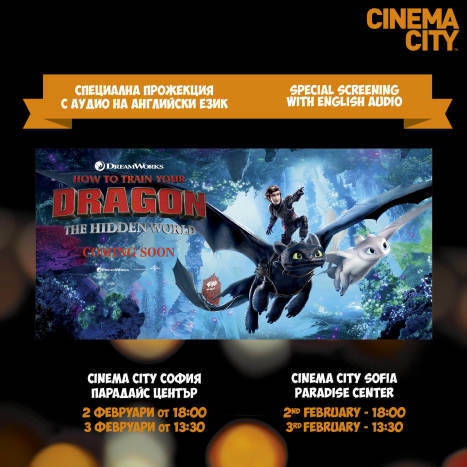 Special screenings will be on February 2 and 3 at Cinema City, Paradise Center.